All faculty are encouraged to attend the annual Spring Faculty Assembly, scheduled for Thursday, April 4, at 4:10 p.m. in the Student Life Center Ballroom. 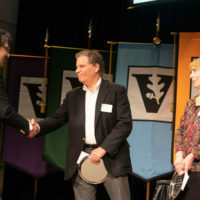 Vanderbilt full-time faculty meet twice each academic year as an assembly to learn about the work of its elected representatives in the Faculty Senate, vote on any proposed motions from the Faculty Senate, hear a state-of-the-university address from Chancellor Nicholas S. Zeppos, and recognize colleagues receiving university-wide awards. The spring and fall faculty assemblies offer important and unique opportunities for the faculty to gather as a whole and to fulfill their role in shared governance. 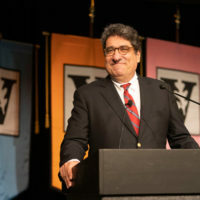 The assembly will include a presentation from Professor of Political Science Larry Bartels, music from the Blair String Quartet and the annual spring address from Zeppos highlighting the accomplishments of Vanderbilt and its faculty. Zeppos and Greene also will present some of the university’s highest honors to faculty, including the Alexander Heard Distinguished Service Professor Award, the Harvie Branscomb Distinguished Professor Award, the Joe B. Wyatt Distinguished University Professor Award, the Madison Sarratt Prize for Excellence in Undergraduate Teaching, the Ellen Gregg Ingalls Award for Excellence in Classroom Teaching and the Joseph A. Johnson, Jr. Distinguished Leadership Professor Award. Following the assembly, faculty are invited to attend a reception in the Board of Trust Room of the Student Life Center.